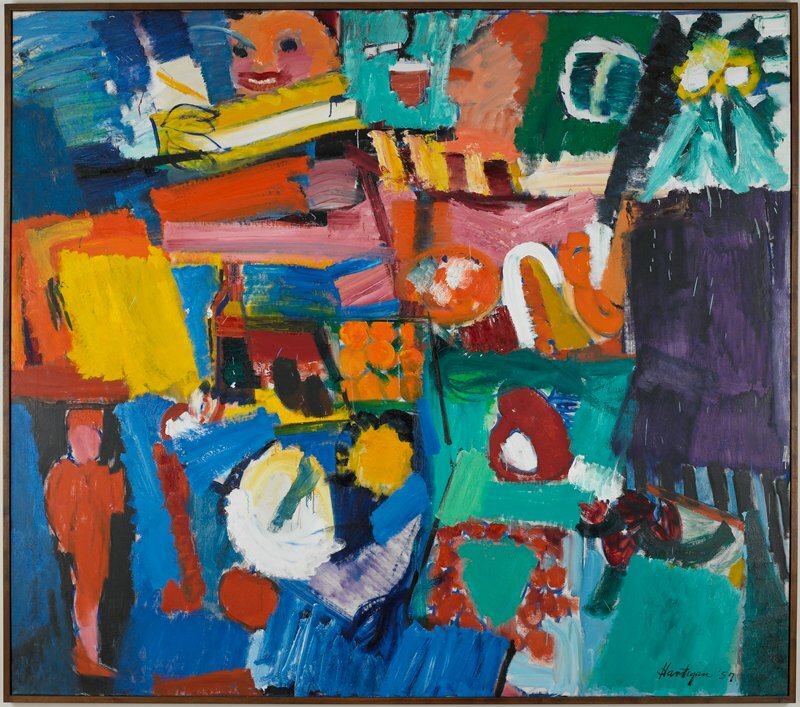 As a second generation Abstract Expressionist, Hartigan alternates between abstraction and figuration. The abstraction gives her work a powerful emotional and visual experience while the naturalistic subject matter serves as her inspiration. Hartigan describes her subjects as real, but not realistic. Hartigan repeatedly drew from American advertising in her work because of its common imagery, two-dimensional structure, and bold stylistic simplifications. She began Billboard by arranging images from Life magazine into a collage, which she then used as her model. Here, we glimpse a smiling face above a tube of Ipana toothpaste, the neck of a wine bottle poised over a glass, a mold of lime Jell-O surrounded by fruit, and the keys of a piano. Of this melange of commercial and mechanical imagery she remarked, "I have found my subject, it concerns that which is vulgar and vital in American life, and possibilities of its transcendence into the beautiful."